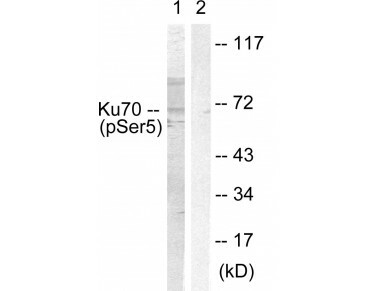 Description: Ku70 (Phospho-Ser5) Antibody detects endogenous levels of Ku70 only when phosphorylated at serine5. 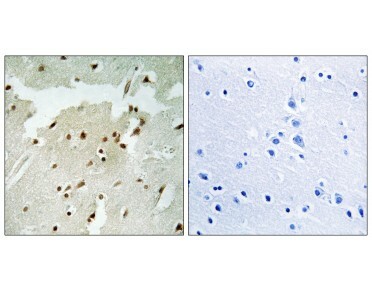 This antibody may replace item sc-111431 from Santa Cruz Biotechnology. 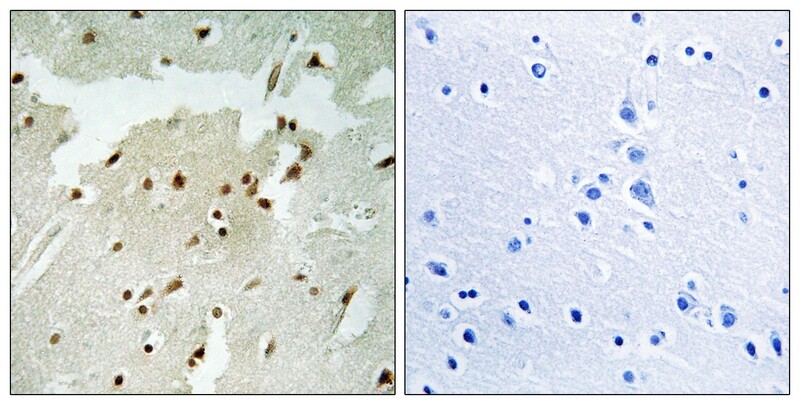 The antiserum was produced against synthesized peptide derived from human Ku70 around the phosphorylation site of Ser5. 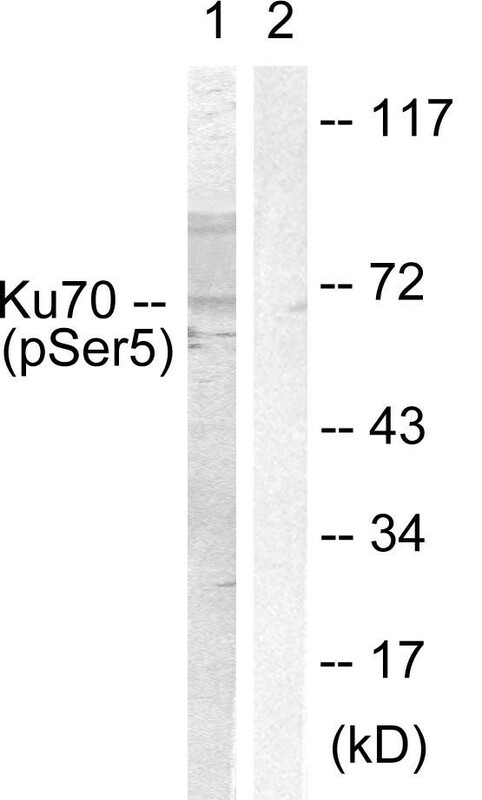 Ku70 (Phospho-Ser5) Antibody detects endogenous levels of Ku70 only when phosphorylated at Ser5.